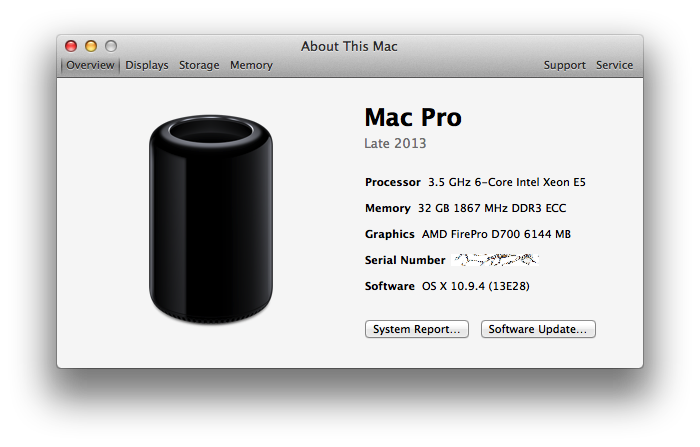 2011 was drawing to a close, and I was uneasy at the lack of a Mac Pro refresh. My 2009 MacPro4,1 was still performing admirably, but video workflows were starting to feel sluggish as I incorporated more high-frame-rate content. 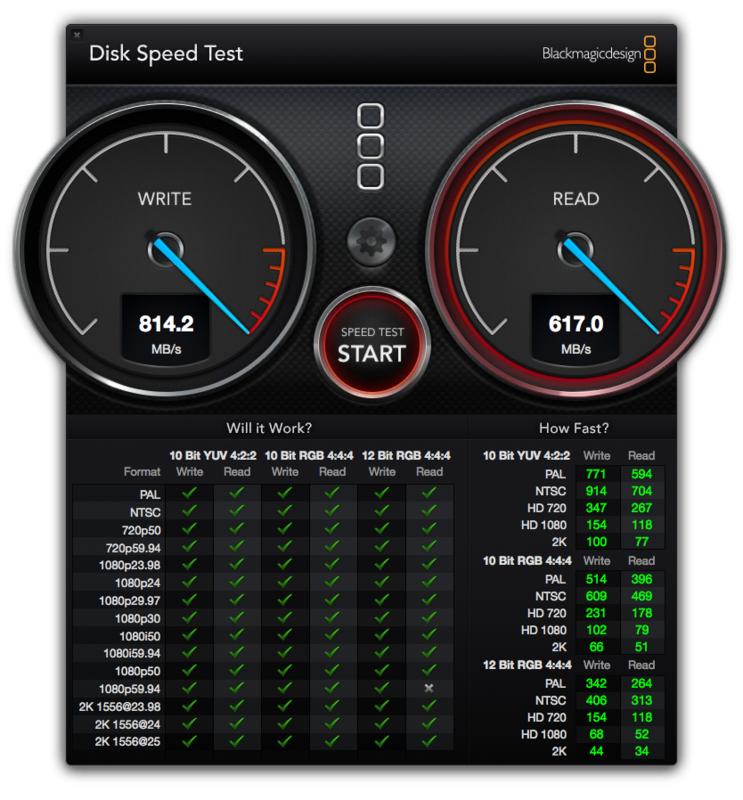 Tasks like video encoding were almost as fast on laptops shipped earlier in 2011 as they were on my Big Bad MacPro. We’ve never met, but I feel compelled to send this note. I know Apple does not comment on rumors, and I fully expect no reply. *please* don’t further marginalize users who want the best possible GPU performance on ANY platform. Our current Mac Pro GPU options are already pretty bad compared to the rest of the desktop market, and all of our mobile devices still lag far behind high-end desktop GPU performance – even though our best desktop card (the ATI 5870) shipped over 3 years ago (!! ), and our best mobile GPUs are much more recent. While I realize it would probably be very easy to make the business case for not caring about the Mac Pro, please consider the possibility of maintaining it as sort of a loss-leader. The biggest, best Mac Pro attracts power users and power developers alike. I’m no EE, but I do understand the basics of power / size / heat / performance ratios. Given similar technology, the larger card that uses more power will almost certainly be faster. That’s the one I want, and I’m not alone. 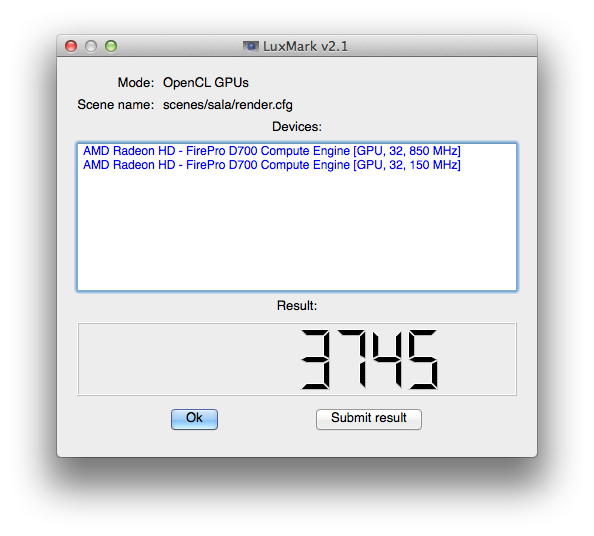 Now… if we can meet or exceed *high-end* desktop performance in a portable package, I’m all for it! Today’s portables aren’t that close, but … who knows what the future holds. When a refreshed MacPro5,1 tower landed the following year in 2012, I was surprised – at least, until I looked at the specs, which were identical to the 2010 MacPro5,1 tower except for RAM and CPU. In other words, it seemed as though relatively little effort was put into this refresh, and it didn’t go very far in reassuring me that the Mac Pro had a future. “Not dead yet”, I thought. They did manage to ship some new Mac Pros in 2013, but indeed availability was constrained for many months. It wasn’t until the second or third day of WWDC 2014 that the new mac pro was finally made available for purchase by employees at a discount (think: customers first). I placed my order within hours, and it shipped the following day! 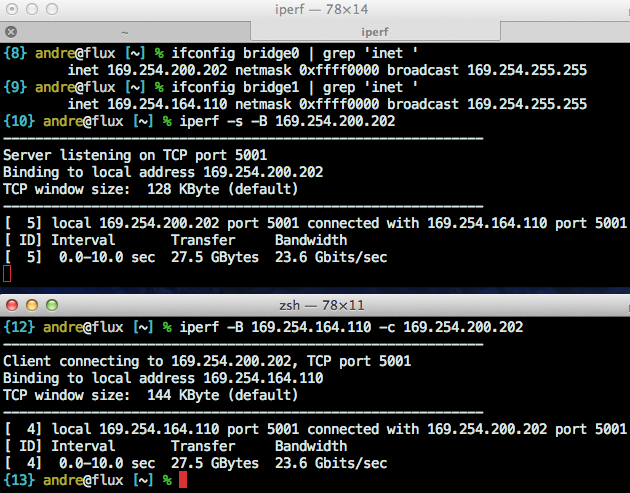 It’s pretty much a dreamboat, even though single-core workloads are faster on a friggin iMac. The same avexporter test shown earlier clocks in at 1:03 on this mac, after logging about an ‘error loading GPU renderer’. When all the hardware resources are brought to bear (e.g. a stack of 19 effects rendering in real-time without any dropped frames in FCP X), the result is one you totally can’t achieve on an iMac – although you can get close by slapping some fast GPUs into a MacPro5,1. There’s a fair amount of new architecture in this thing. I feel like MacPro6,1 is waaaay different from anything else Apple ships, and is decidedly ‘off the beaten path’. I have found a couple software oddities here and there that seem unique to this model, but nothing serious. In general, performance and reliability have been very good, and there’s nothing about the hardware that makes me uneasy. It even has a power light! Wow! Shortly after I got foci, I also picked up a thunderbolt cable, even though the laptop was my first and only thunderbolt device. That cable hung in my closet until a couple hours ago, when I used it to benchmark a thunderbolt <–> thunderbolt network on the new pro. 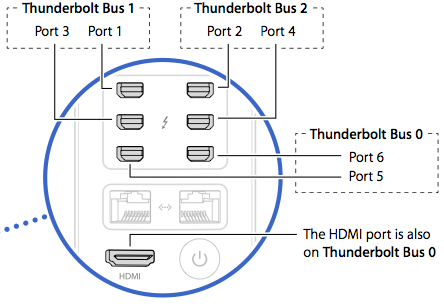 This leads me to conclude that the original thunderbolt cable is also a thunderbolt2 cable. Fancy! 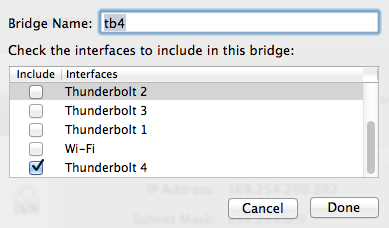 You’ll then need to create two thunderbolt bridges in the Network prefpane, and map each of the ports you’re using to a different bridge. 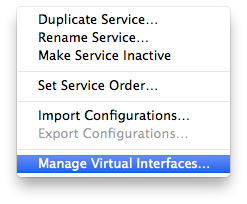 Click the gear menu at the bottom of the interface list, then select “Manage Virtual Interfaces” to reveal the bridge editor. 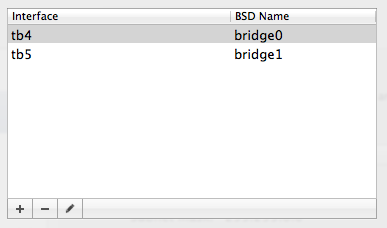 Let’s see, what else… ramdisk i/o seems to top out at about 4 GB/s. 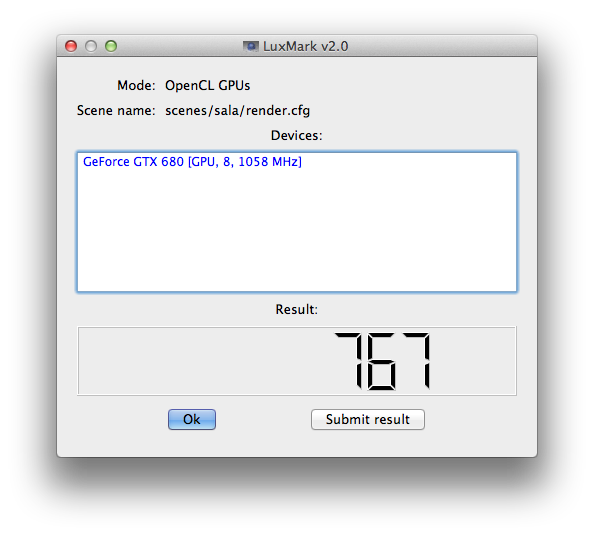 The LuxMark OpenCL benchmark tells a good story. 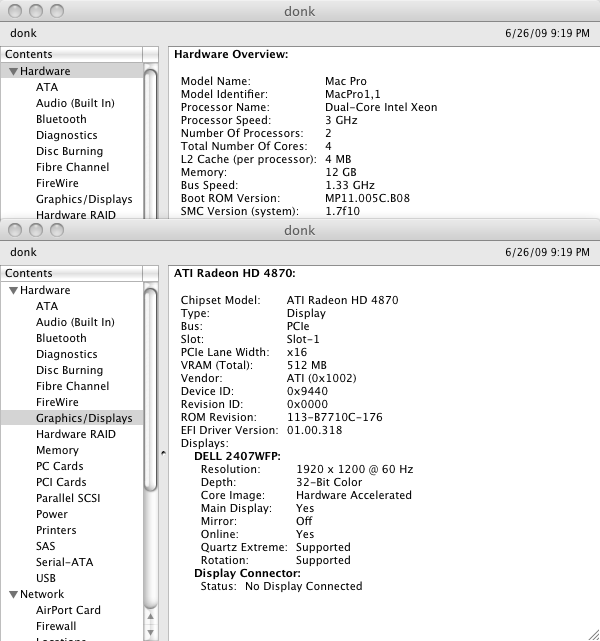 MacPro6,1 is shown first, followed by MacPro4,1. I also picked up a Promise Pegasus2 R6, which benches faster than the iStorage Pro setup it is replacing, even though it’s got 2 fewer spindles.